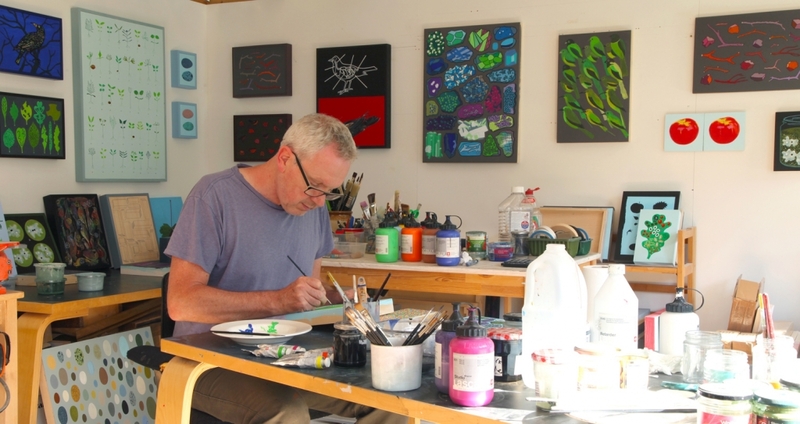 John makes boxes, screen prints, paintings and books. Sticks and Stones is a new collection of paintings made this year especially for Frank. A solo show of John’s new work will open at Frank on September 9, with a Private View that day from 5–7pm when you will get a chance to meet John over a glass of wine. Because of the small space, we would ask you to RSVP if you would like to attend. John’s interest is in natural history, in particular the human relationship with nature and our inclination to categorise and order the natural world. A childhood spent playing and rooting about in his grandparent’s large garden in Kent, left a lasting impression and remains the source of many ideas and work. After studying Graphic Design at Canterbury College of Art, John studied Fine Art Painting at Camberwell School of Art. He also made his first boxes at this time, which featured in his degree show installation. John went on to take a Postgraduate in printmaking focusing on screen printing, exploring sequential imagery, which led to his first prints and artists’ books. John has shown in many mixed and survey shows including the V&A Museum, Tate Gallery, RA Summer Exhibition, Cornerhouse Manchester, Bluecoat Liverpool and The National Trust. Solo shows include ‘Natural History’ at Rebecca Hossack Gallery, ‘In the Country’ with Southern Arts Touring and ‘Rural Views’ at Aytoun Gallery Manchester. 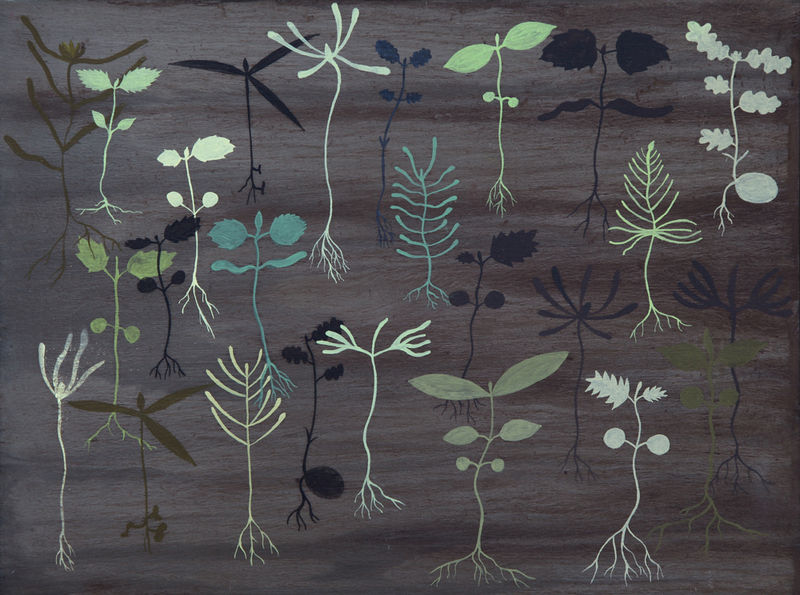 In 2014 John was commissioned to make three new artworks for an exhibition and publication entitled ‘Of Green Leaf, Bird and Flower’. The work was shown at the Yale Center for British Art, New Haven U.S. and is now housed in their permanent collection. He has work in many private and public collections. Public collections include, Victoria & Albert Museum, Tate Library, British Library, Museum of Modern Art New York, Yale Center for British Art, Royal College of Art Library, Winchester School of Art, University of Brighton and Hampshire County Council.